Looks like it’s finally happening! The couple at last took to their social media accounts to announce their engagement. “Future Mrs Jonas. My heart. My love,” the singer wrote. 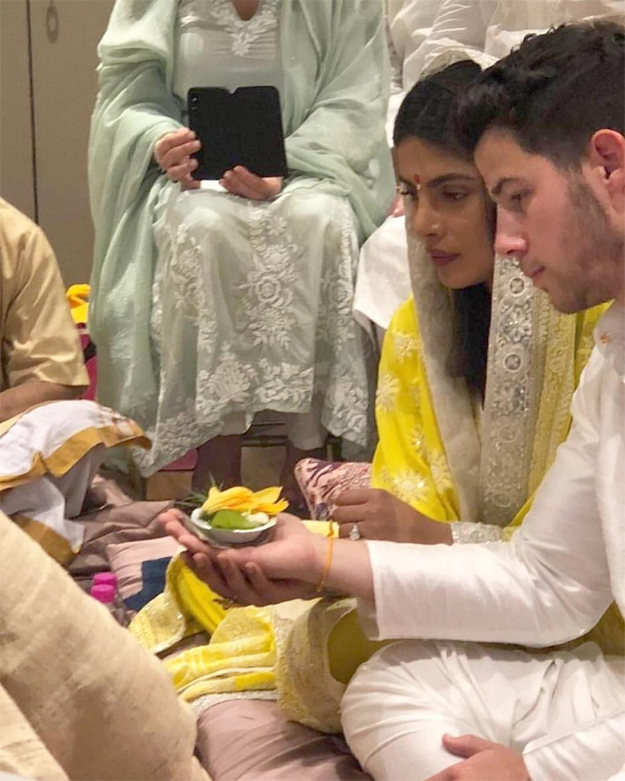 Rumours were abuzz that Priyanka Chopra and Nick Jonas will be officially introducing themselves as an engaged couple today, in a ceremony hosted by the Bollywood icon at her Mumbai residence. While PeeCee’s family and friends are still making their way to her house for the grand ceremony later tonight, Jonas’ parents arrived in India on Thursday evening. Now, for what might have been a prayer meet, the couple made their first appearance of the day in simple, traditional Indian outfits. Donning a lemon-coloured embroidered ensemble, Priyanka looked ethereal while Nick kept it minimal in a white kurta pajama. According to The Indian Express, the couple will be seen hosting a big event, later in the evening.